After a VERY busy season, we wanted to take Easter weekend and the week following it, off for some family time. Pintail’s office & shipping will be closed March 29th through April 8th. You can still place orders during this time and we will ship orders in the order they are received as well as begin casting custom orders, as soon as we reopen on April 9th. Email: We will do our best to respond to emails and Facebook messages during this time, but it may be slower than normal. All orders placed before 10:30AM EST on March 29th have been shipped! Thank you for understanding, Happy Easter to everyone, and as always, we appreciate your continued business & support! 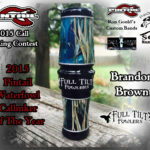 Don’t miss Pintail Waterfowl’s 7th Annual Black Friday Sale. Starting 9pm on Thanksgiving night and all day Friday. We also have a small sale on Small Business Saturday and Cyber Monday for those who miss out over the Holiday. This is by far the biggest sale of the year for us! Great deals on blanks (duck barrels, inserts, matched sets, even customs, all in stock jigs (P1, P3, Blank) and custom jigs, mandrels, and more!! Watch our Facebook page, during the month of November to win a chance to get in the door, “get the codes”, before every one else. Starting around 9pm on Thanksgiving, Thursday November 23rd we will begin posting promo codes, until about 11pm, then again all day friday from 9am to 5pm we will post codes randomly. Some codes will run for a certain amount of time, while others will run the entriety of the event or until a certain amount are sold. We will be giving away a free gift to the first 75 orders over $100 and free shipping to orders over $200. Mystery Blank – We pick one blank and if you order it, you not only get the blank for free, you will get a prize as well! Random giveaways – We will randomly pick orders for free products and free surprizes! Order as many times as you want! We will combine orders placed between 9PM Thursday and Midnight Monday and refund shipping on all additional orders so you can catch all the deals without getting nailed on shipping! Spend over $200 (on one or all combined orders) and all shipping is free! 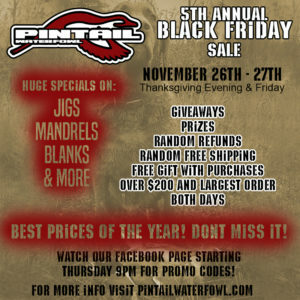 Don’t miss Pintail Waterfowl’s 6th Annual Black Friday Sale. Starting 9pm on Thanksgiving and all day Friday. This is our biggest sale of the year! Stock up on blanks (duck barrels, inserts, matched sets, even customs, jigs (P1, P3, Blank, & Custom), mandrels, cork & reeds, bags, and more!! Watch our Facebook page, starting around 9pm on Thanksgiving, Thursday November 24th for promo codes. Some codes will run for a certain amount of time, while others will run until a certain amount are sold. We will be giving away a free gift to all orders over $100 and free shipping to orders over $200. Also a special free gift to the largest order (based on dollar amount and product count). Free gifts and free stickers for the first 10 orders each day! Random giveaways – We will randomly pick orders for free products and free gifts! Free shipping on random orders – We will randomly pick orders and refund your shipping. We will combine orders and refund shipping on additional orders so you can catch all the deals and order as many times as you want! Spend over $200 on combined orders and all shipping is free! 2015 – 5th Annual Black Friday Sale! 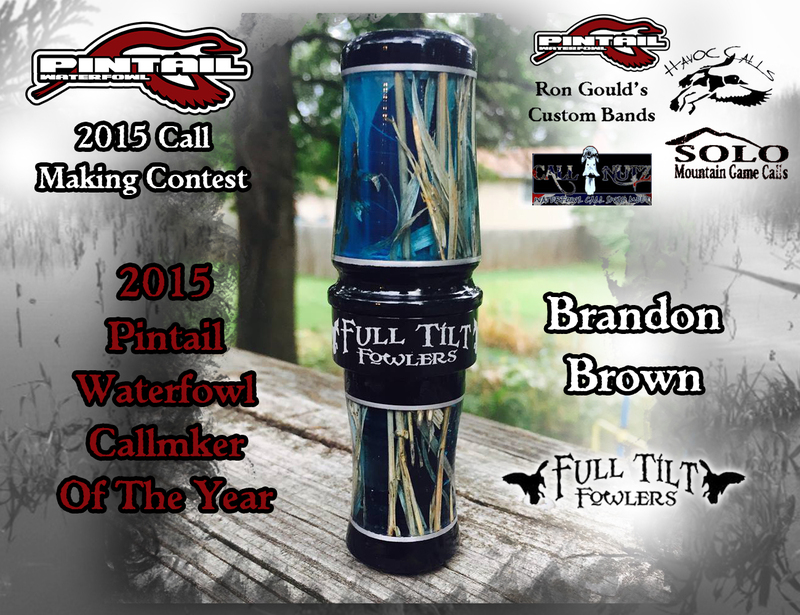 Don’t miss Pintail Waterfowl’s 5th Annual Black Friday Sale November 26th and 27th. Starting 9pm on Thanksgiving and all day Friday. This is our biggest sale of the year and being our 5th anniversary, they will be the best they have ever been! Stock up on blanks (duck barrels, inserts, matched sets, even customs, jigs (P1, P2, Blank, & Custom), mandrels, cork & reeds, bags, and more. Watch our Facebook page, starting at 9pm on Thursday for promo codes. Some codes will run for a certain amount of time, while others will run until a certain amount are sold. This year we will be giving away a free gift to all orders over $100 and free gifts and free shipping to orders over $200. Also a special free gift to the largest order (based on dollar amount and product count). Free gifts to the first and free stickers for the first 10 orders each day! Trivia Questions posted on Facebook with prizes, all day Friday! We will combine orders and refund shipping on additional orders so you can catch all the deals and order as many times as you want! August 1st-September 30th call making period. Contestants may enter one (1) Photo of the call of they are entering. 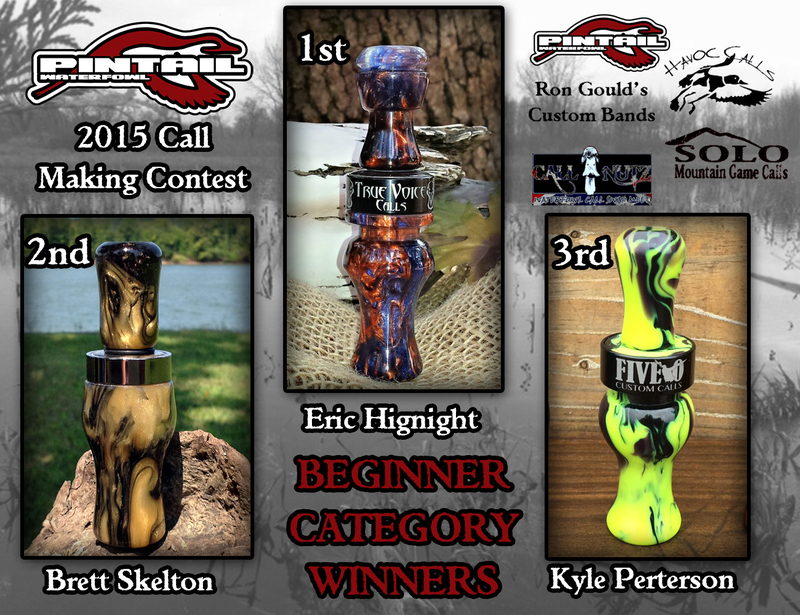 You may submit pictures of calls by emailing them to ryan@pintailwaterfowl.com. Please put “Call Contest” in the header and make sure to include your full name (real name, not company name), city and state. 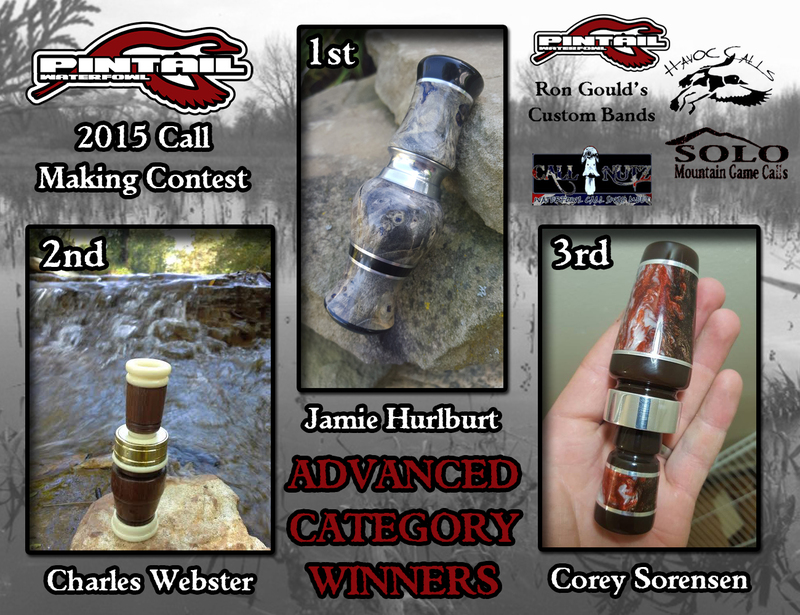 Calls entered in the contest will be judged on use of color, material, and craftsmanship of the call. You are encouraged to use a mix of different materials (resin/acrylic, bone, antler, wood, metals, etc). We want to see how far you can push your limits! 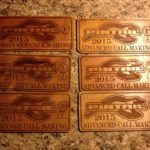 While we are not judging on the quality of the photo, nicer photos represent the calls better and may play a role in your call getting noticed more by our judges. This contest is based soley on the picture of the call entrants submit and is not a chance based contest. 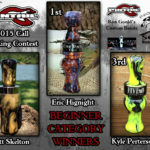 Calls can be duck, goose, grunt calls, or any style of “tube” style calls. Calls will be placed into the appropriate category as we see fit. If you want to compete in a certain category, feel free to let us know. We may look at other calls you have done to see your ability (so no entering beginner for you guys who have been turning for 10 years). Must use a Pintail blank for at least half of the call. Premade style inserts are allowed. Calls will be judged by our independant panal of 5 judges. I don’t believe in “FB voting” as a fair way to judge.